waterfront and ocenfront condos in Key Biscayne are located on an exclusive island just minutes from Downtown Miami. Key Biscayne waterfront condos range from older "low rise" buildings to newer oceanfront condos that offer the latest in luxury and amenities. Waterfront condos for sale in Key Biscayne range from $250,000 to over $5 million. 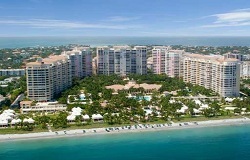 Scroll down to search all waterfront condos in Key Biscayne or contact us for more information.